today's giveaway is from the lovely kate, from see kate sew. she made my chevron clutch, remember? well her shop is also filled with some other of my favorite things: bows, hedgehogs!, and headbands. baby girl has a headgehog waiting for her in her room. la la love. Hi! I'm Kate and I blog at see kate sew, a sewing and crafty blog about making clothes and sewing toys! I love posting DIY tutorials, outfits, and vintage finds! Some of my recent projects are this Sweatshirt Refashion and this free plush fox pattern. I also love making patterns and have a few for sale in my etsy shop. I also sell finished clutches, samples from my blog, and extra fabric! 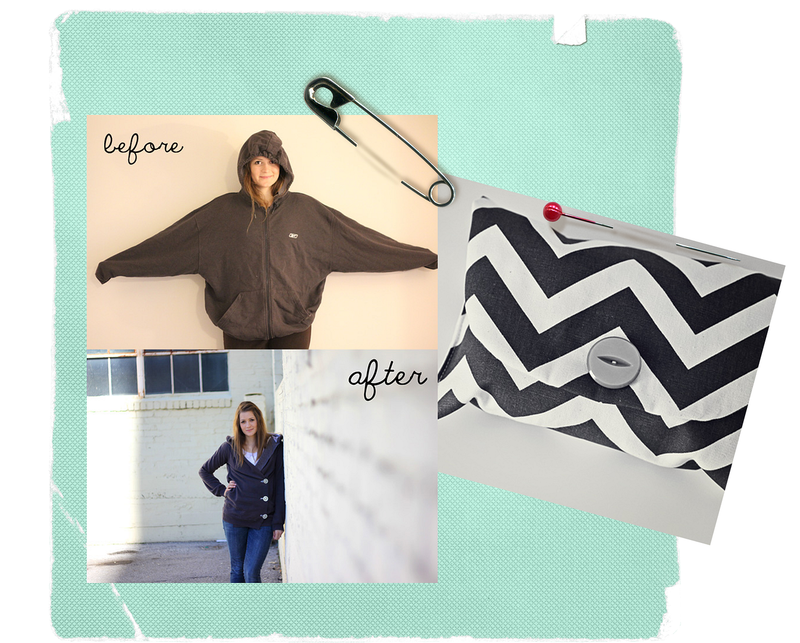 1) head on over to see kate sew and let me know your favorite item. winner chosen by random.org and announced next week. I would so get that chevron clutch you were raving about. Just what a mama could use! her stuff is so cute! AND reasonably priced! win. win. win. I love her hedgehogs too!! And the mustard color clutch?!?!? LOVE-ly! what a cute shop she has! i follow kate on twitter. I follow See Kate Sew..and wow what a beautiful site ! scalloped frayed flower in pink dandelion !!! gotta have it..one way or another ! Smile...my favorite. Ok..everything was adorable. love the jumbo smashed ruffle clutch! I love the mustard colored clutch. I love her shop. It's a toss-up...the jumbo smashed ruffle clutch is adorable, but the little 2T/3T dress is just precious too!!! Such a cute shop! 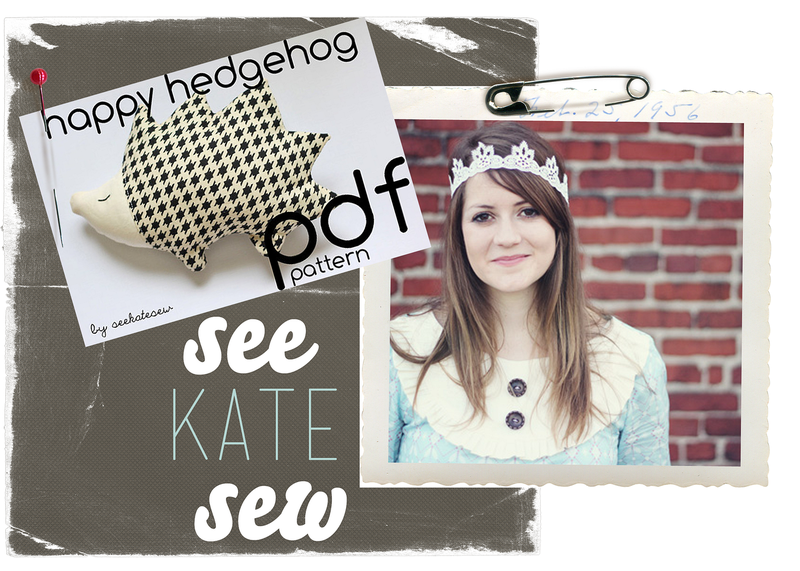 I follow Kate now and my favorite thing is the Houndstooth Hedgehog! So cute and so original! LOVE IT! my favorite item is the happy hedgehog in green stripe. would fit so perfect in my own little girl's nursery! and i subscribe by email to her blog! I love the mustard chevron clutch---I'd use that thing all the time! Oh! I saw that one pic of her in the big jacket all over Pinterest. I love it! Ooo, she's got some great stuff in her shop. I'm loving the jumbo smashed ruffle clutch - houndstooth & turquoise. i love the green chevron clutch! the happy hedgehog is so cute!!! love it. i follow kate on twitter! i love all of her vintage fabric. the holly hobbie is too cute. I really really need that Fox Plushie! LOVE the hedgehogs :) Lily will probably be getting one for Christmas either way! You always have the best giveaways and I really enjoy your blog! I already follow Kates Blog! The Chevron clutches are so cute. I'd love one in black and white. I love the jumbo smashed clutches. And those hedgehogs are super cute. The green striped one is my fav. Great giveaway! She has adorable headbands. And who woulda thought hedgehogs could be so wonderful?! I follow her on twitter. The dark brown fox plushie is super cute! Oh count me in, I'm crossing my fingers!!!! Wonderful giveaway. I have a seekatesew clutch and I just love it! I would love to have ANYTHING in her shop. Her hedgehogs and owls are adorable. Thanks for the chance to win! My favorite thing at See Kate Sew is the darling little bow dress! Kate has such fun items! My favorite item from Kate is the jumbo ruffled clutch! Its' great! I like the silkscreen sewing machine fabric--neat! Smashed ruffle clutches are brilliant! My favorite item is the mustard chevron clutch! So cute! My fave is the smashed ruffle wristlet - polka dot pink. Cute! I love the scalloped frayed flower in pink dandelion. Thanks for the chance to win! I follow Kate's blog with Google Reader. i follow kate's blog thru GFC. i like the chevron clutch in mustard yellow!!! too cute!